Counseling Las Vegas, NV: Caring and Competent. Find the right therapist near you. Counseling in Las Vegas, NV. Find the Right Therapist. Safe, effective, and caring. Affordable therapists near you in Las Vegas, Nevada will help you make the changes you want. 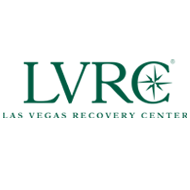 Las Vegas Recovery Center is a privately owned company providing opioid-free, holistic chronic pain rehabilitation and drug-and alcohol-related rehabilitation services. We provide a complete continuum of care including medically managed detoxification, inpatient and outpatient programs. I offer an atmosphere where each person or family has a chance to be heard as they tell their stories from their perspective. I have a practical, down-to-earth, and nonjudgmental approach to finding solutions. We use proven evidence-based interventions that work! Rhonda Kildea founded New Horizons Counseling Center in 2004 out of a desire to increase the quality of mental health care in Southern Nevada and to help people find peace with their bodies and themselves. Rhonda is a fully licensed Marriage and Family Therapist. Marriage And Family Therapist Intern. I believe that sometimes you fill stuck in life & therapy can help you feel unstuck. I work with you to find a richer, more fulfilled everyday life. My clients say I am understanding, calm, and genuine. If you are depressed, anxious, angry, confused or in a difficult relationship, I can help reduce your symptoms. We will work through underlying causes for your distress leading to lasting happiness and success. Long known as a gambling mecca, Las Vegas has made a big effort in recent years to become a family friendly city. Although gambling is still very much in evidence, children and teenagers can find much to do that has nothing to do with placing a bet. The Discovery Children's Museum offers more than 200 hands-on exhibits about everything from science to art.1 The Las Vegas Natural History Museum features walk-through dioramas and animated dinosaurs that appeal to teenagers as well as children. Teenagers and their parents might also be intrigued by the Elvis-a-Rama Museum, which offers a glimpse into the life of the famous rock star. About 20 miles west of the city is Red Rock Canyon National Conservation Area, where families can take self-guided trails to view ancient petroglyphs and the ruins of an old homestead. Although Las Vegas is seen as a fun, carefree city to visit, for many people who live there it is a much different story. Nevada ranks fourth in the nation in suicide rates, with the majority of those occurring in Las Vegas. Gambling is a common problem, as is substance abuse. Yet, Nevada ranks 36th among states in per capita expenditures on mental health services, and 37th in the nation in overall mental health spending.2 The large number of individuals in need of mental health care in Las Vegas leads to overflowing emergency rooms and thousands of people living without the proper treatment they require. Las Vegas is located in Clark County, Nevada. It has a land area of 134.37 square miles and a water area of 0.05 square miles. The population of Las Vegas is 623,747 people with 215,614 households and a median annual income of $50,202. . Therapy in Las Vegas is generally within financial reach for the average family, but some budget planning may be needed for a real commitment to weekly counseling. Remember that your mental health and happiness are important. Check with your Las Vegas therapist about insurance coverage or ask about sliding scale fees if there are any difficulties with accessibility. Low cost counseling and affordable therapy are also sometimes offered by listed city and university level clinics, check with your local Las Vegas public health department.